Respect. Everyone wants it! The late Aretha Franklin made it a rallying cry in the ’60s with her iconic song. But what does this word really mean in the work setting? Interestingly, when respect is shown to us, we may not consciously notice it. But when it’s lacking, we immediately feel its absence! If you’ve ever been on the receiving end of disrespect, you’re acutely aware of how that feels. Maybe you haven’t been the target of outright bullying or hostility, but what about more subtle forms such as discourtesies, rudeness or personal slights? A boss who routinely cancels your one-to-one meetings, indicating he has more important things to attend to. The colleague who takes credit for an idea that originated from you. A peer who condescendingly rolls her eyes at you in a meeting when you share your opinion. A manager who “rewards” your good work, not by acknowledging and recognizing you, but rather by piling on more work! Your supervisor who walks by without greeting or acknowledging you in any way… like you don’t exist. Are you confident that your employees feel respected? Your immediate response may be, “Absolutely!” However, you may want to take a closer look. There may be a ‘disconnect’ between what leaders believe about respect in their workplace and what employees actually experience. There are a couple of challenges that can cause this disconnect. Or, how likely is it that an employee would give this feedback to his/her supervisor: “When you schedule a team meeting to be held at 2:00 PM every Friday and then consistently show up late, it feels like a blatant disregard for everyone else’s time.” This kind of upward feedback is rare. So if leaders aren’t getting this feedback, they may not be aware of behaviors that, in fact, feel disrespectful to employees. Employees value two distinct types of respect. In her article, “Do Your Employees Feel Respected” in the July-August, 2018 issue of Harvard Business Review, Kristie Rogers, Ph.D., assistant professor of management at Marquette University, shares her findings that employees value two distinct types of respect. Earned Respect: This type of respect is given when an employee is recognized for specific behaviors or valued qualities through their unique strengths and talents. Earned respect meets the need to feel valued for doing good work, successfully completing a project, coming up with a great idea, or for accomplishing something special. In other words, someone acknowledges and appreciates the unique contributions of the employee. Owed Respect: This second type of respect comes from the mindset that every member of the work group is inherently valuable as a human being. This is a basic human need and should be accorded equally to every employee. Owed respect is all about the universal need to feel included and treated with dignity and civility. The problem is, disrespect and incivility are on the rise! Research indicates that 84% of Americans have personally experienced incivility. Employees report more disrespectful and uncivil behavior each year. In fact, because of the pervasiveness of uncivil behaviors in health care, the American Nurses Association was recently compelled to actually revise their Code of Ethics for Nurses to include language related to preventing incivility! The costs of disrespect and incivility are high. By defining behavioral expectations and role modelling respect, leaders set the tone for a respectful workplace. When you visibly demonstrate respect in all of your interactions and intentionally affirm your appreciation and value of employees, you cascade respect throughout the organization. However, if you, or a member of your leadership team display any kind of disrespectful or uncivil behaviors, you open the door for everyone else to use these behaviors. AND, if you ignore or allow others’ dismissive or uncivil behaviors, you can be pretty assured this will cascade to your patients or residents. My suggestion: Convey a ‘zero tolerance position’ for behaviors that in any way come across as condescending, shaming, or devaluing. Be specifically aware of the power differential between supervisor and employee. Research tells us that power can actually diminish compassion. The higher up you go, the easier it is to act in ways that are callous or uncivil. On the other side, research also tells us that when people feel respected, this serves as an antidote to disengagement and to burnout. 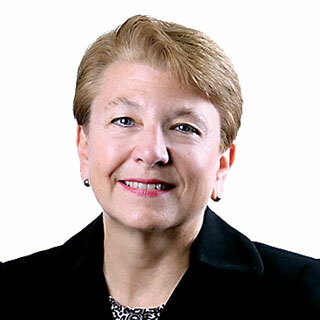 Nancy Anderson, RN, MA, is the SVP of Engagement Solutions for Align. In her role, she provides strategic leadership and supports development of solutions to help providers successfully build and sustain a culture of engagement. Close more info about R-E-S-P-E-C-T: Find out what it means to me!